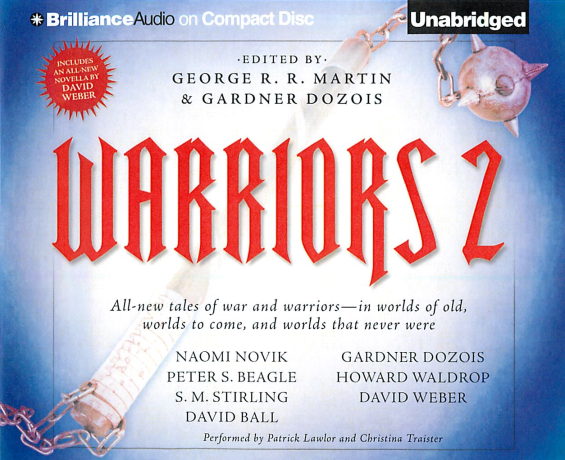 Brilliance Audio sent us this audiobook: Warriors 2 (aka Warriors Volume 2) edited by George R.R. Martin and Gardner Dozois – 9 CDs, 10 Hours 45 Minutes, UNABRIDGED. 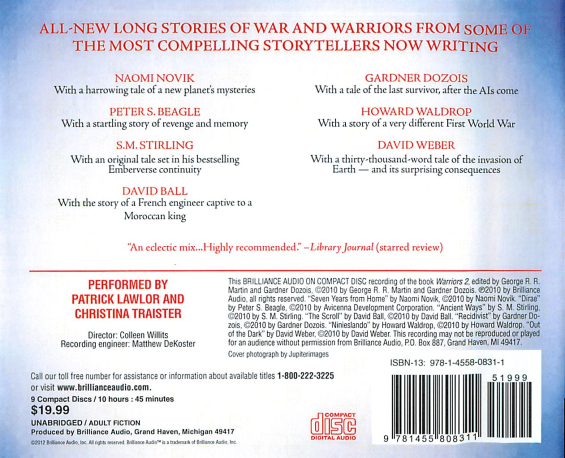 This audiobook is titled Warriors 2 on the box, and titled Warriors: Volume 2 in the narration. Either way it’s a collection of seven novelettes, novellas and short stories. The readers are Patrick Lawlor and Christina Traister.